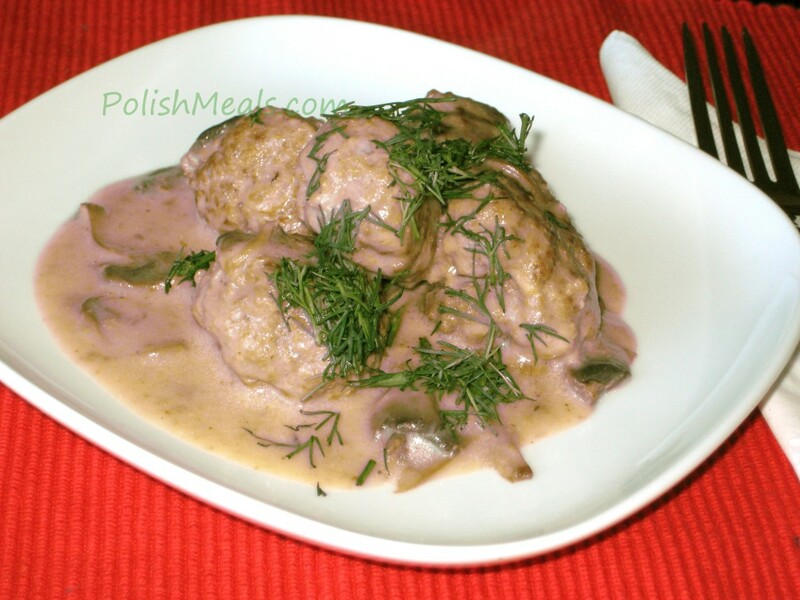 Polish Meatballs with Mushroom Sauce (pol. Klopsiki, Pulpeciki) are one on the favorite meals in traditional Polish home. They can be made from any kind of ground meat – of course the most popular in Poland would be veal or pork meatballs known for the full flavour and tenderness. The history of meatballs is long and the earliest recipe is found in the ancient Roman cookbook Apicius which included many meatball-type recipes. Note: Meatballs can be cooked by frying, baking in the oven, boiling or steaming (for those more concerned about fat). Meatballs with Mushroom Sauce can be served with Mashed Potatoes, Noodles, Gnocchi, Rice, Barley, Buckwheat or other starchy side dish. I would also suggest some crunchy and raw vegetable side like Mizeria, Sourkraut Salad, Red or White Cabbage Salad, Beet Salad, etc. Posted in: Main Courses. Tags: bread crumbs, egg, ground meat, mushroom, onion, sour cream. I made your meatball and mushroom sauce meal over noodles today, it was excellent! !